All around the ISKCON world, December is dedicated to book distribution. Hungary is no exception. Our temples and centres join forces to distribute Srila Prabhupada’s books during the Prabhupada Marathon. 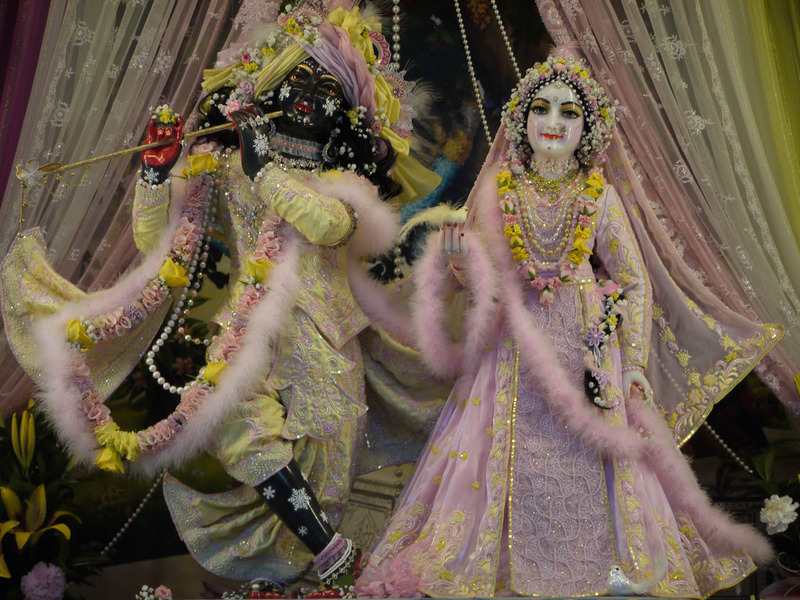 Many devotees venture out to engage in this blissful service full-time, and those who are not able to do so take part as much as possible, not wanting to miss out on the spiritual bliss. In order to provide devotees the chance to taste the nectar of book distribution, during this time we minimise other activities in Krishna-valley. Devotees who stay back at the farm cover the extra services, allowing the rest to go on travelling sankirtana. This way, fortunate people around the country can receive Radhe-Syama’s mercy in the form of Srila Prabhupada’s books. Devotees distribute books on the streets, in parking lots, businesses and house to house, hoping to offer conditioned souls the knowledge that has changed their own lives. Nitai, the ever-enthusiastic Hungarian yatra had a successful marathon. More than 100 devotees went out from Krishna-valley alone to distribute over 25,000 books! 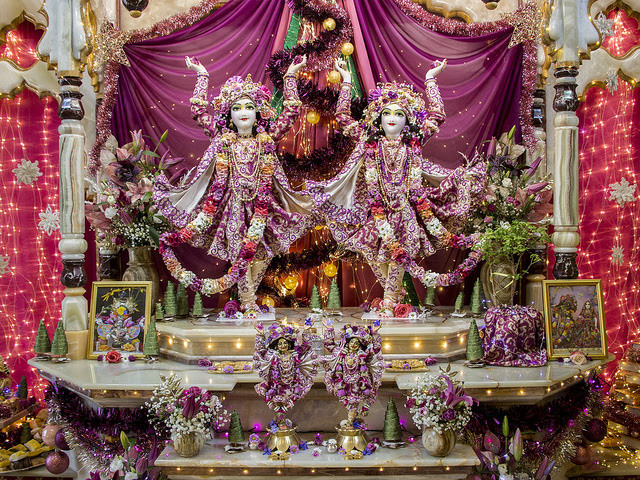 On Christmas Eve the travelling devotees arrived home to a hero’s welcome with lots of mahaprasadam and a rousing kirtan before Radha-Syama. On the last day of the year at our annual Budapest sankirtan festival, devotees shared wonderful book distribution stories and heard the sankirtan scores. Another highlight of the celebration was a blissful midnight harinama downtown—a tradition not to be missed. On another note: the last few months our team has been working on material to describe Nitya-seva in a way that is readily understandable for the general public and for new congregation. It’s easy for devotees to understand the concept of Nitya-seva but difficult for people who have no knowledge of our philosophy and the tradition of Deity worship. The new presentation explains Nitya-seva in a way that opens new doors for another audience, and to date it has proven successful. Mohana Dasa presented it to two families, who responded with enthusiasm and pledged a Nitya-seva each! One family has already sent the full sponsorship, the other began instalments. Don’t forget to visit Krishna Valley. We’re looking forward to seeing and serving you all! 3rd, 4th, 5th, 7th, 9th, 10th, 13th, 14th, 15th, 16th, 17th, 19th, 20th, 22nd, 24th, 27th, 28th and 30th January. Thank you and Jaya Radha Syama.